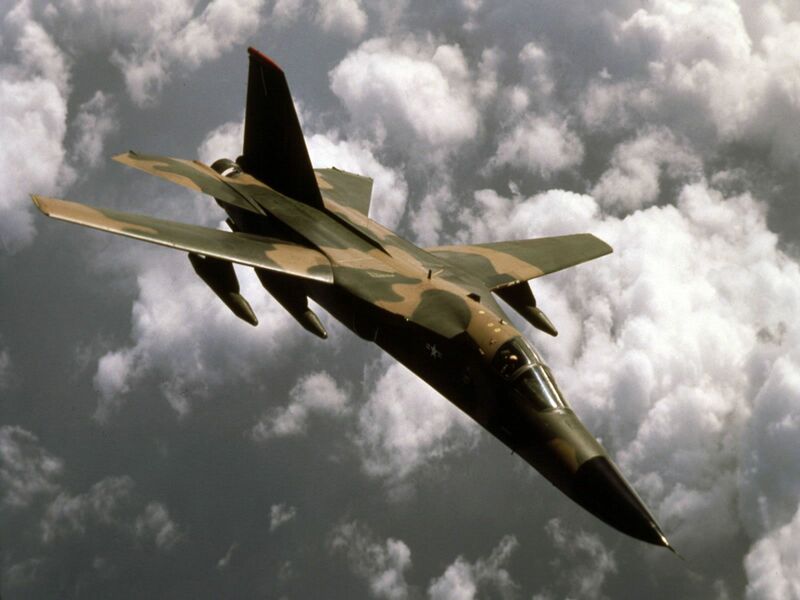 The F-111 Aardvark is a all weather fighter-bomber with a variable geometry wing developed by the United States in the 1960s . 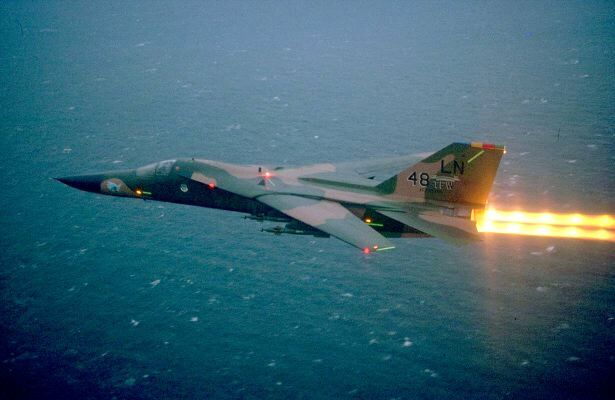 The development of this aircraft was difficult, but once all the problems were solved, the F-111 proved to be a formidable weapon system, and very reliable. 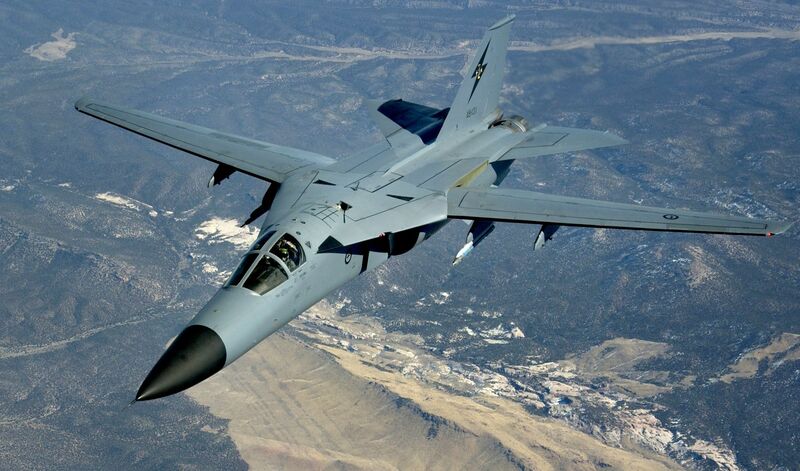 Over 554 F-111’s were produced over twenty years. 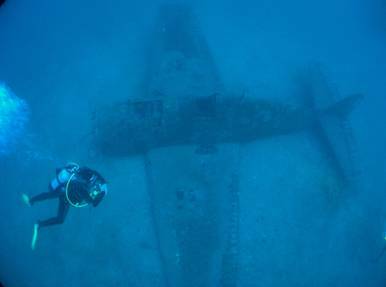 In December 2010, it was retired from service with the Australian Army, the last to possess in service. 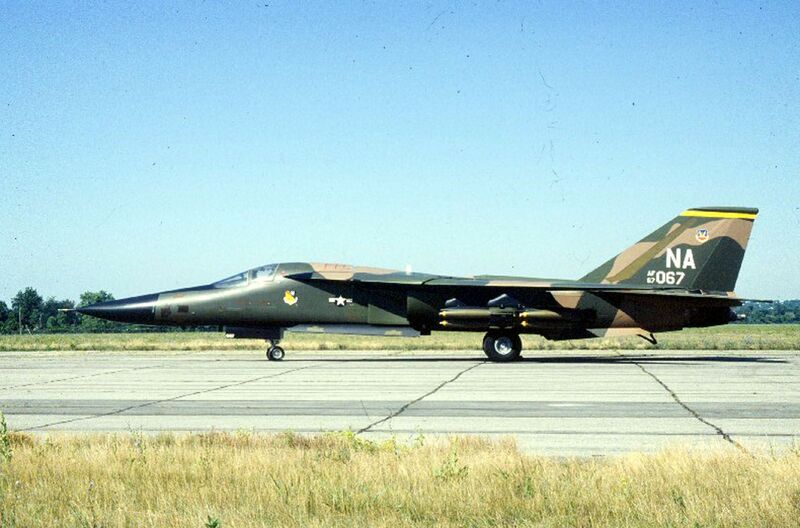 As early as 1968 , the F-111A was sent to fight in Vietnam. 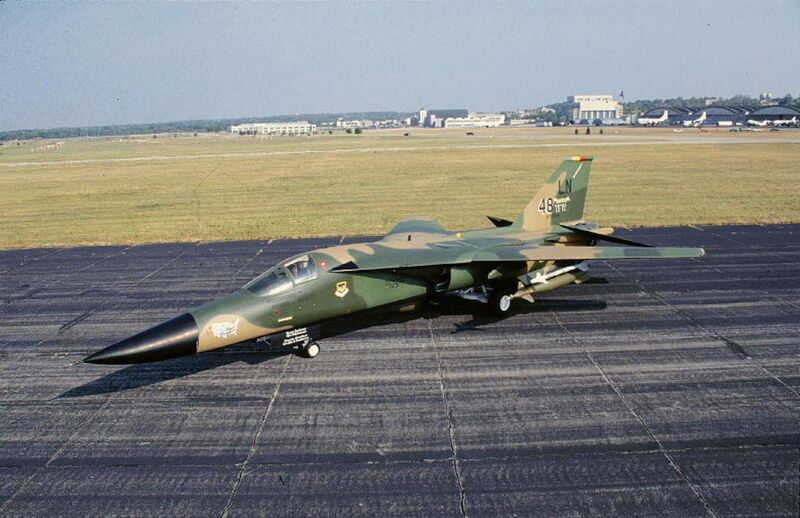 Following the loss of several aircraft, all F-111 were banned from flying in December 1969 to July 1970. 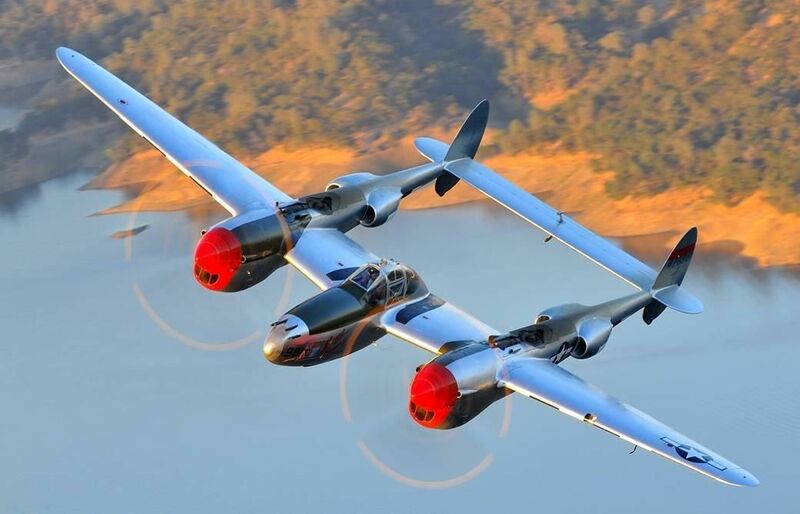 Three problems were discovered and fixed: the first in the motion control of the rudders, and the other two are the weaknesses of the structure at the wings. 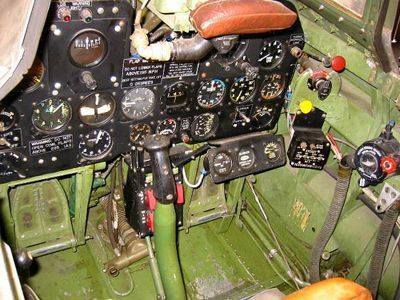 The war missions revealed various other malfunctions in the electronic systems, and in case of heavy rain, problems with the engines. 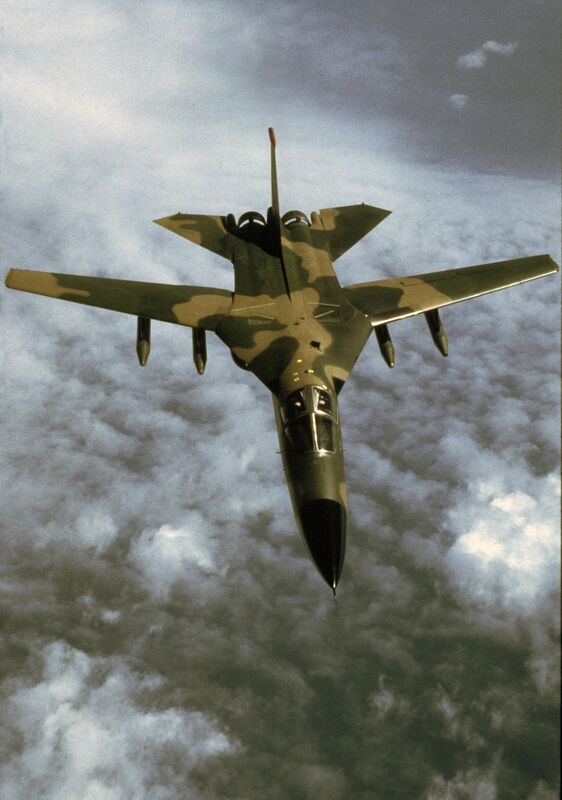 Despite this, the F-111 proves capable of performing missions a variety of missions, and took over many bombing missions from the lesser capable F-4 Phantom. 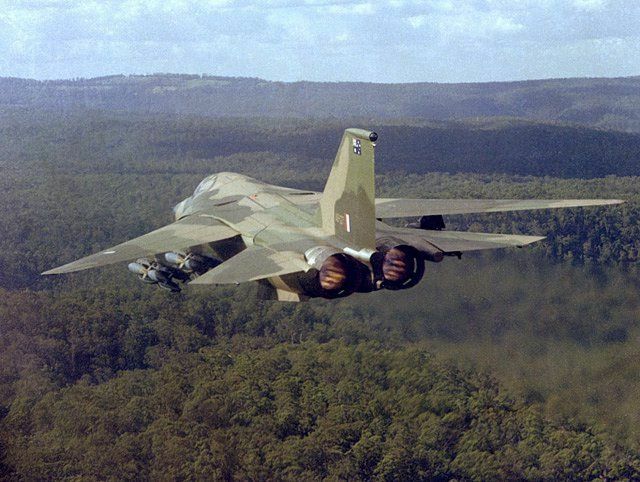 All models of the F-111 (except the Australian F-111C) were equipped to carry the nuclear weapons . 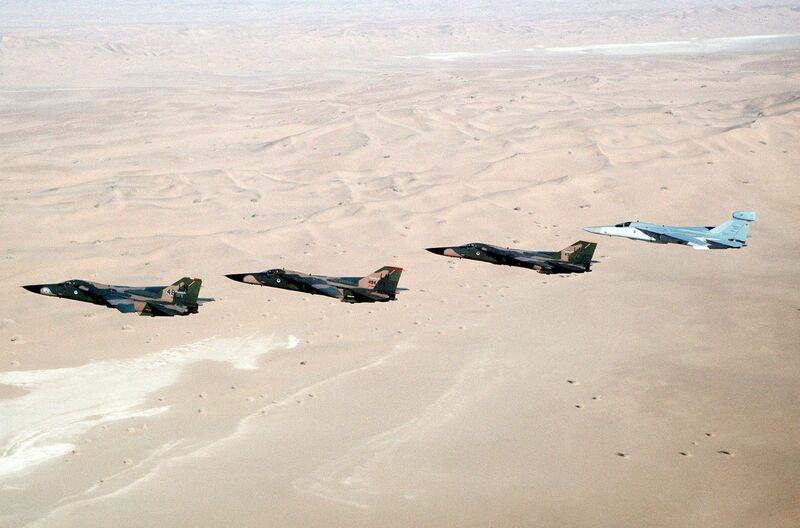 Tactical versions typically can carry the B43 , B57 or B61 , while the FB-111A can also carry the B77 and B83. 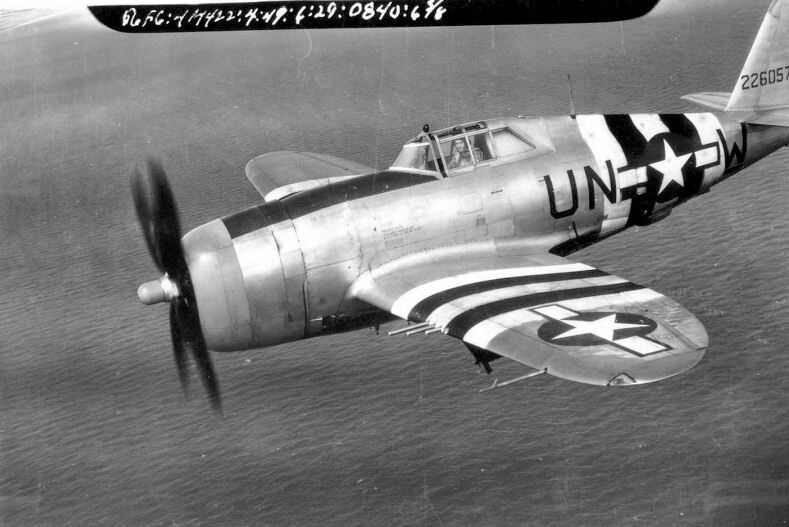 The Republic P-47 Thunderbolt was one of the most important American fighters of the Second World War. Its large size and sturdy construction have earned it the nickname Jug, short for The Juggernaut. 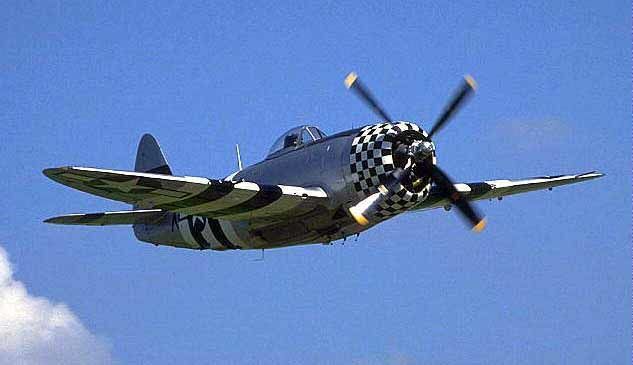 The P-47 excelled in fire support missions helping the ground troops, which quickly became its main role. 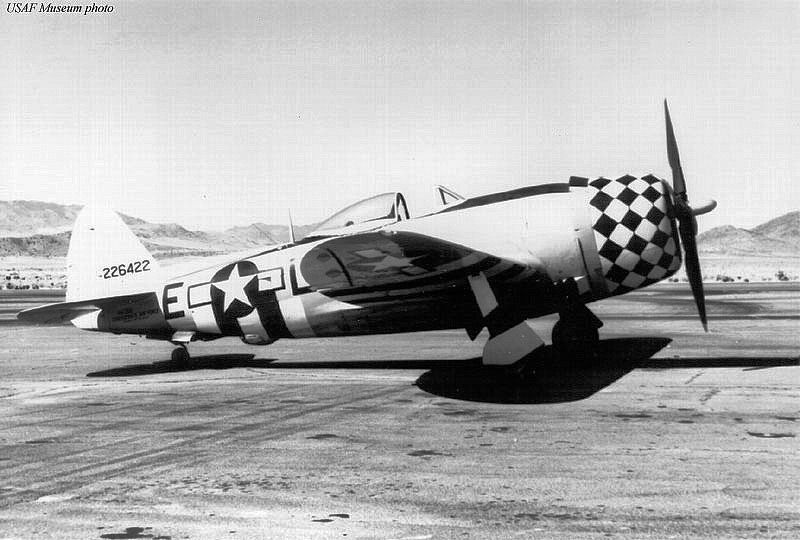 Because of The Jugs importance in the ground war, it never competed with the other American fighter, the P-51 Mustang as air superiority King. 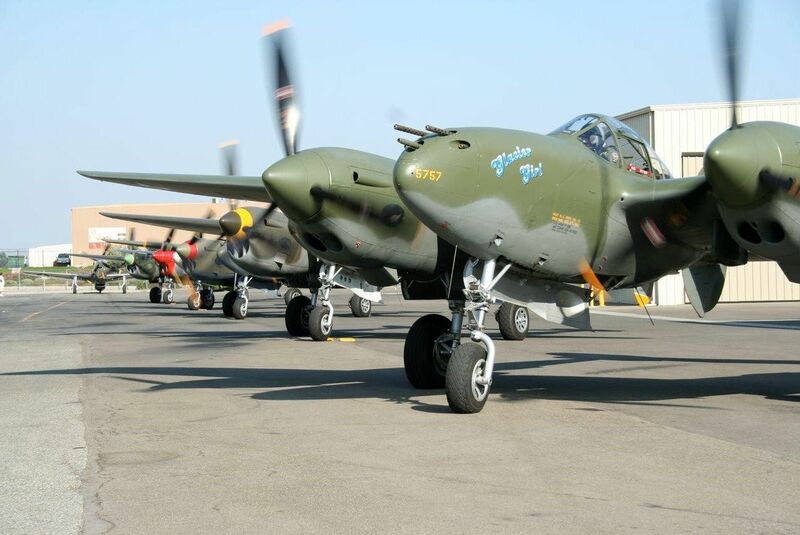 A total of 15,660 Thunderbolts were produced, making it one of the most produced aircraft of all time. 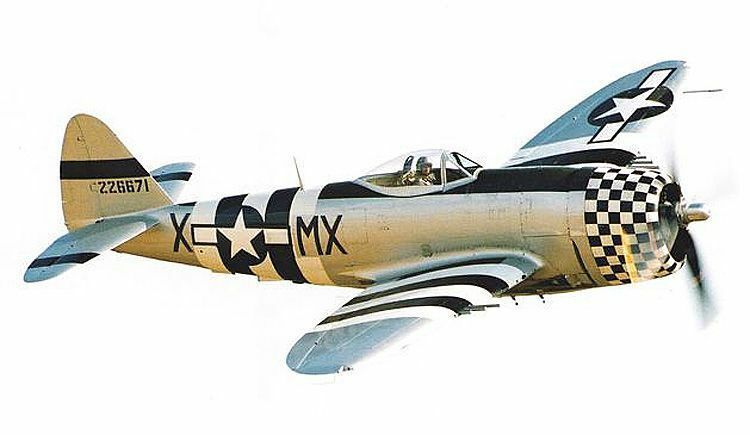 While it was overshadowed somewhat by the North American P-51 Mustang in the role of fighter, many American pilots obtained their success on this machine, such as Francis S. Gabreski with 31 confirmed victories, Captain Robert S. Johnson with 28, and Colonel H. Zemke with 20. 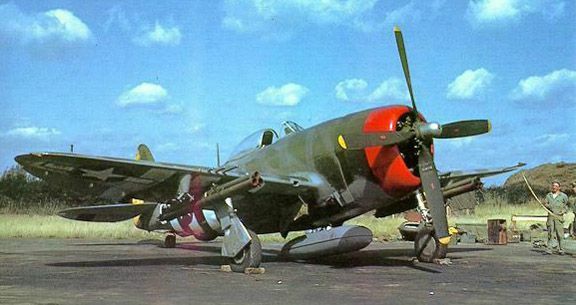 Even in the Pacific , where fighting low level against the agile Japanese fighters did not favor the P-47, it remained a competitive fighter against the Zero. Colonel Neel Kearby proved that by bringing down 24 Japanese planes before his death in March 1944 over Wewak . 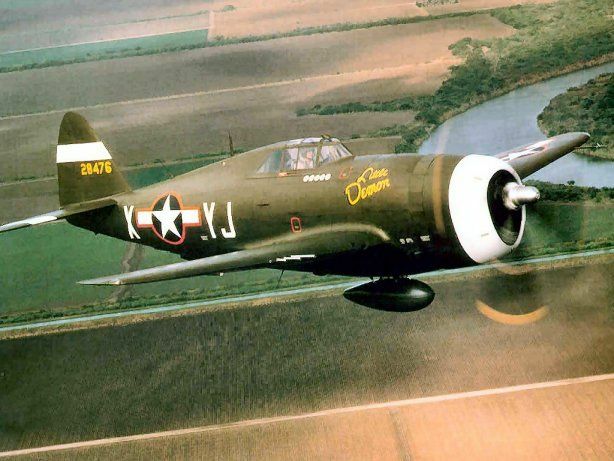 The P-47 Thunderbolt was powered by the powerful Pratt & Whitney R-2800 Double Wasp which boasted 2000 h , supercharged by a turbocharger, and was armed with eight 50 caliber machine guns. Kneeling L to R: Sgt. Laurence W. Donnelly (BTG), T/Sgt. Robert J. Steele (ROG), 2nd Lt. Charles W. Staiger (NAV)Sgt. Joseph G. Allen. Standing L to R: Sgt. Richard H. Heritage (NG/TOG), T/Sgt. Charles A. Weiss (TTE), 2nd Lt. Laurence J. Lazzari (P), 2nd Lt. Guiher G. Greenwood (CP), 2nd Lt. Daniel J. O’Connell, Jr. (TG). 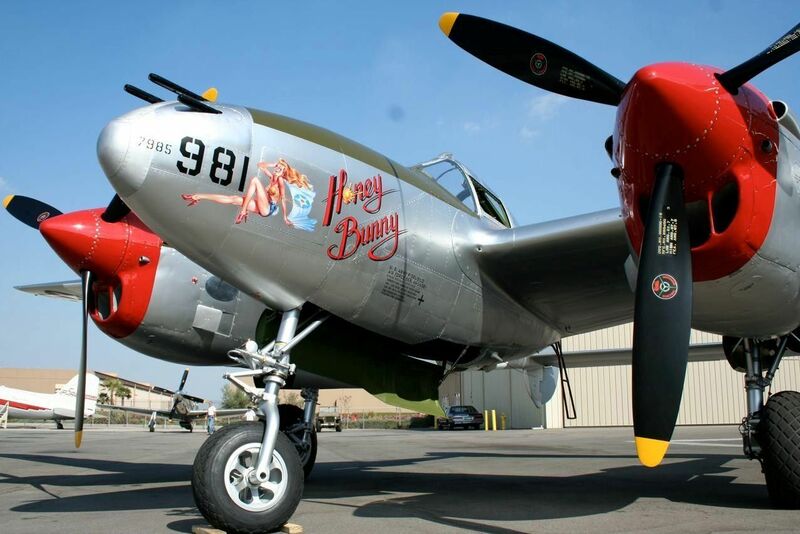 This website recently received a comment from USAF Colonel Guiher G. Greenwood (retired) who served with the 351st Bomb Squadron, 100th Bomb Group, regarding a picture posted in our gallery. 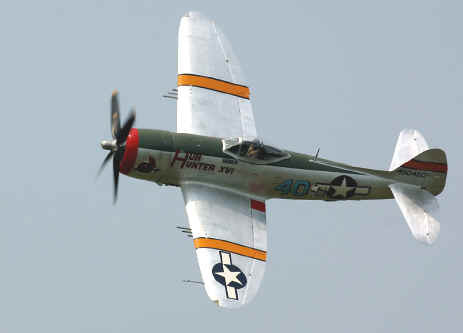 He identified the plane pictured as that of the B-17 E-Z Goin’ piloted by Joe Martin with co-pilot Henry Cervante on the Buchen raid of April 7, 1945. Interestingly, Col Greenwood and Joe Martin lived through one of the more infamous “suicide” attacks by the Germans in their last desperate days of the war. The Sonderkommando Elbe was a special squadron of the German Luftwaffe, a Luftwaffe task force assigned to bring down Allied bombers by ramming German aircraft into the Allied bombers. Sonderkommando means special command, and Elbe is a river that runs through Germany to the North Sea. The Sonderkommando Elbe was formed at Reichmarschall Hermann Goering’s insistence that the Reich’s defense units should start ramming bombers as a last resort. 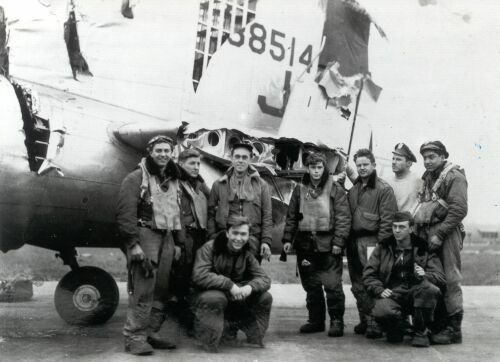 This group of fighters was not solely tasked with ramming bombers, but that was their last ditch option. 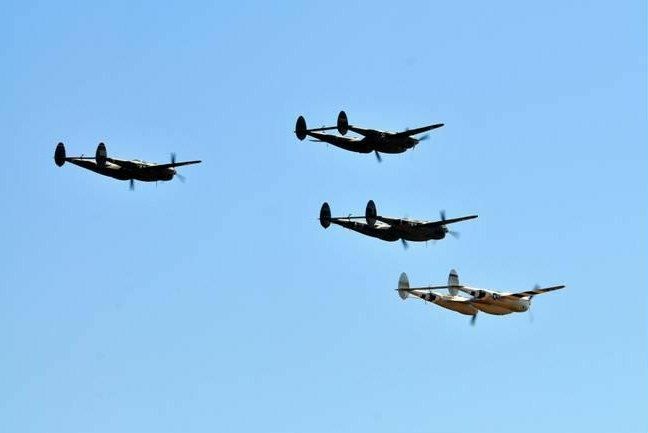 In theory this was not a suicide mission, they were only supposed to ram an Allied bomber if there was a chance to bail out alive. Unlike the Japanese kamikaze pilots, the inexperienced German pilots brought a parachute with them while flying their striped-down Messerschmitt Bf 109’s, if the pilot survived the collision, he could use the parachute. 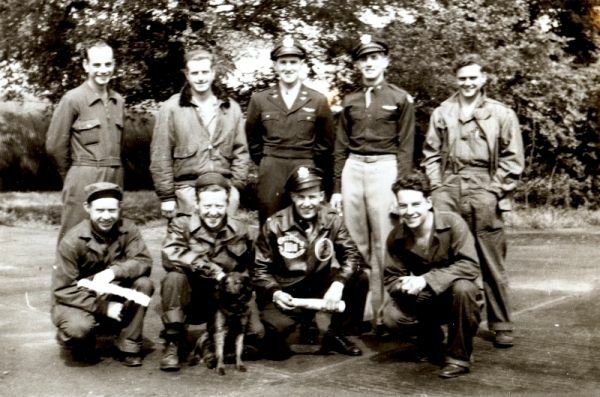 The only documented mission, often called Rammkommando Elbe (ramming) or Werewolf, was on April 7, 1945 when a total of 120 pilots took off in their fighters and attacked several formations of U.S. bombers heading towards the Germany heartland. These young German pilots were motivated to destroy Allied bombers by any means necessary, they had seen their country decimated by the relentless Allied bombing campaign. 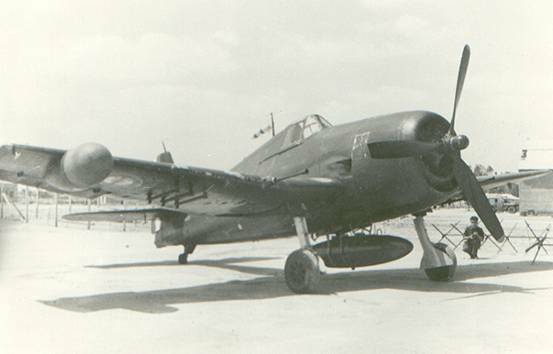 Although the Luftwaffe had an amply supply of airplanes, even in April 1945, they lacked trained pilots and aviation fuel. 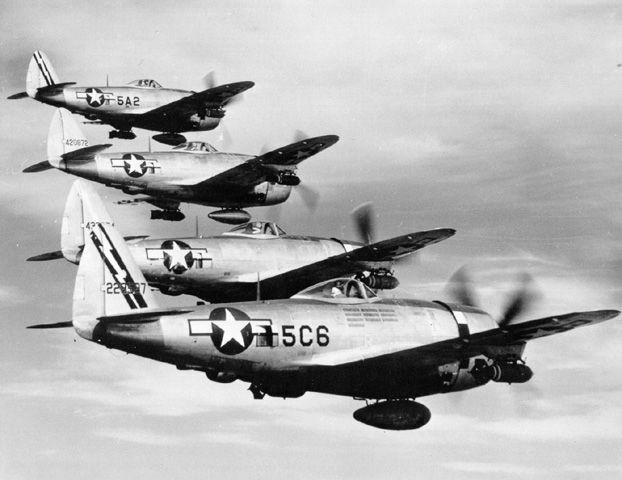 Many of the Sonderkommando pilots had only 50 hours of training, and their lack of experience was as likely to get them killed as the P-51 Mustangs that protected the Bomber Armada. 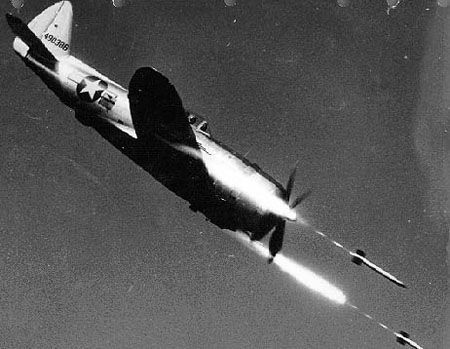 This last ditch effort of the mighty Luftwaffe resulted in only 15 Allied bombers attacked with eight successfully destroyed. 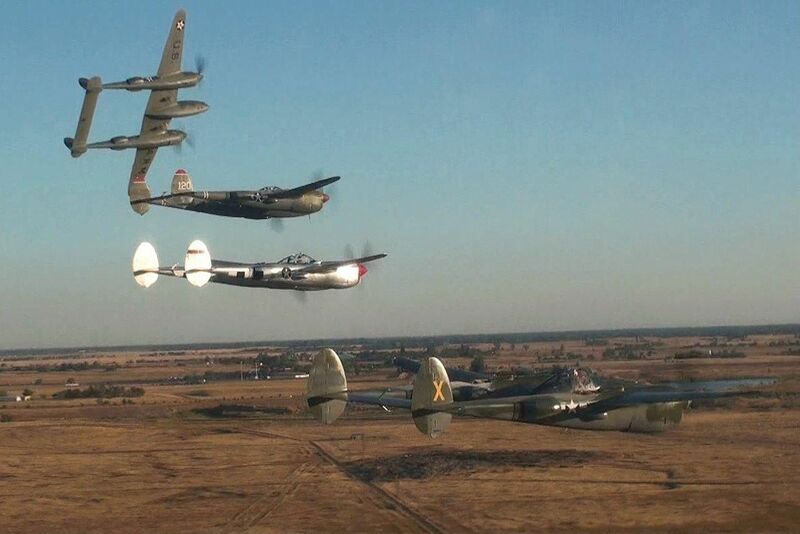 Several planes barely limped back to base, these included the E-Z Goin’ flown by Joe Martin’s crew. 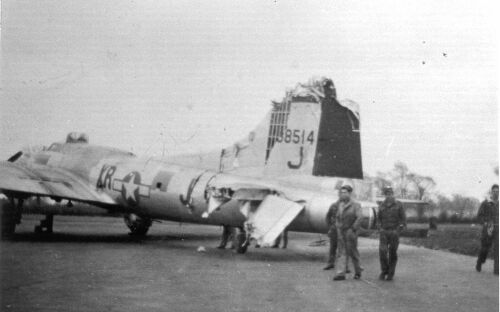 Their left stabilizer was ripped off, and the rudder substantially damaged. 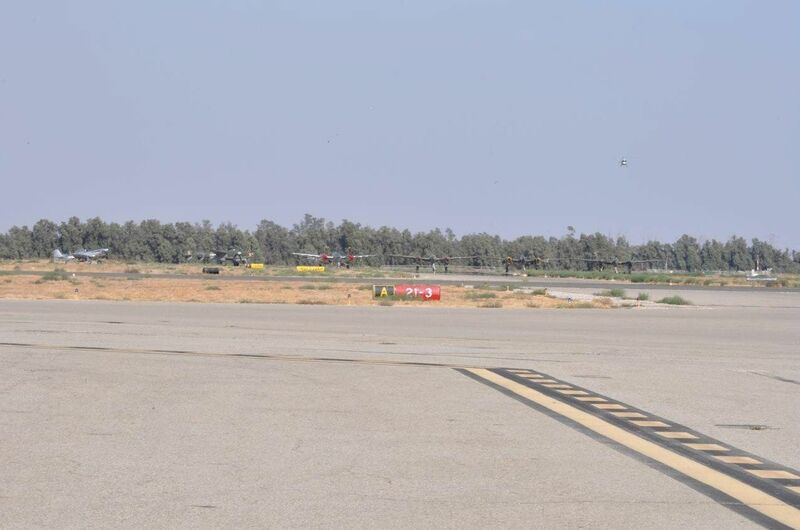 In addition to having little control of the plane, they also lost engine #1. Somehow the crew was able to return to England, and landed successfully. 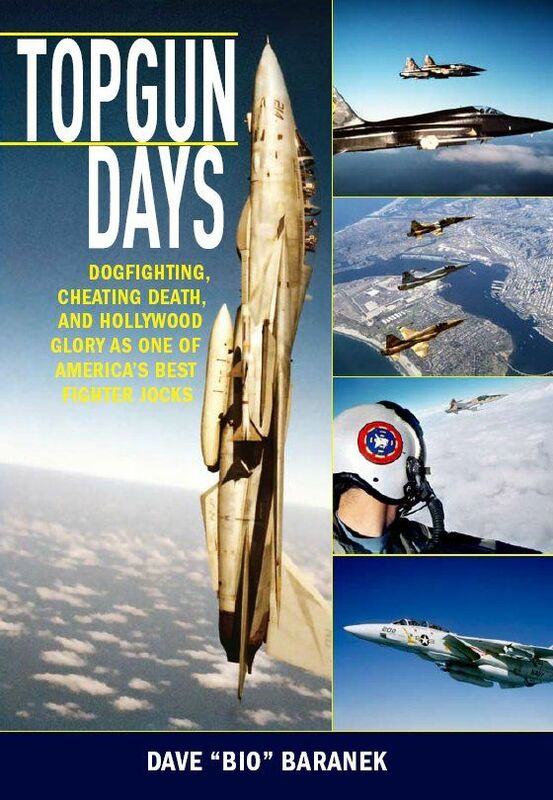 I recently had the chance to read the book Topgun Days by Dave “Bio” Baranek. 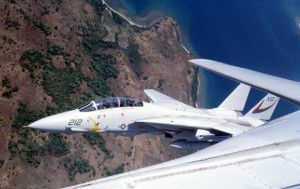 As many readers of this blog know, Topgun is the United States Navy Strike Fighter Tactics Instructor program, created during the height of the Vietnam War. 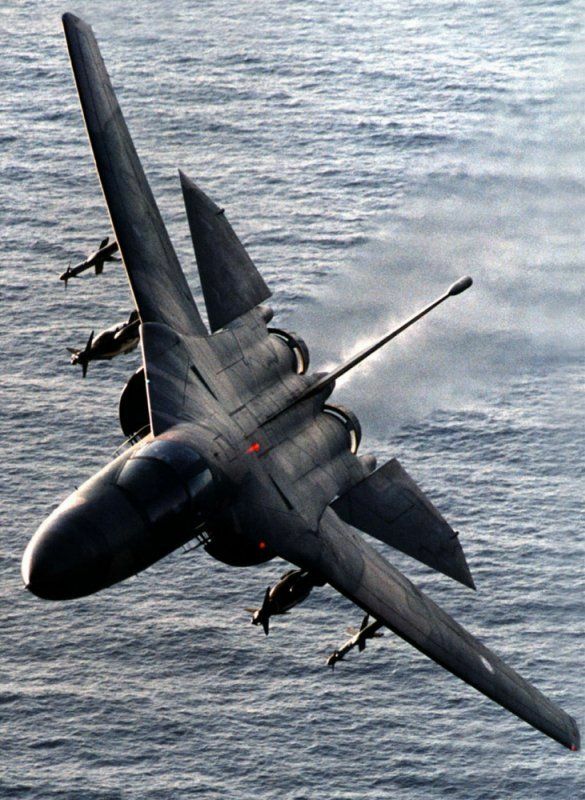 The Navy had been concerned about the high number of US aircraft losses, and believed that the Ault Report (written by USN Captain Frank Ault) revealed an inadequacy in air combat maneuvering skills among Naval aviators (and Air Force too!). 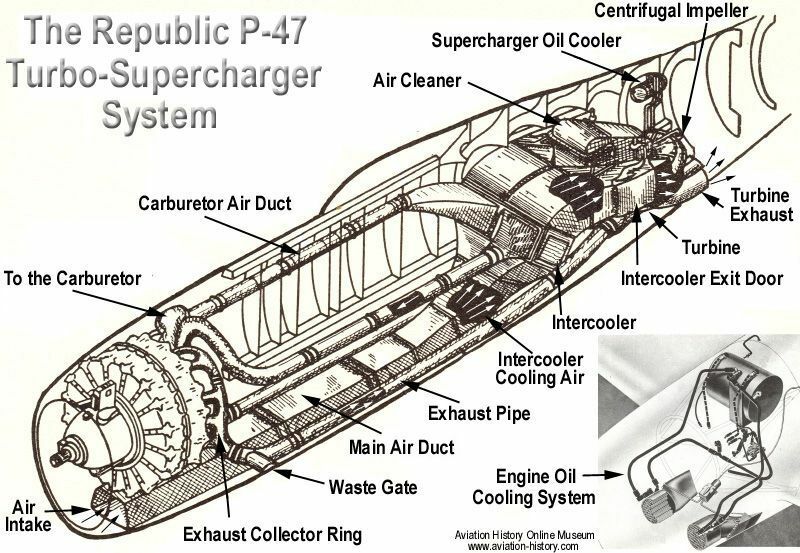 From this report, Topgun was born, and it was later introduced to the general public through the movie Top Gun starring Tom Cruise. 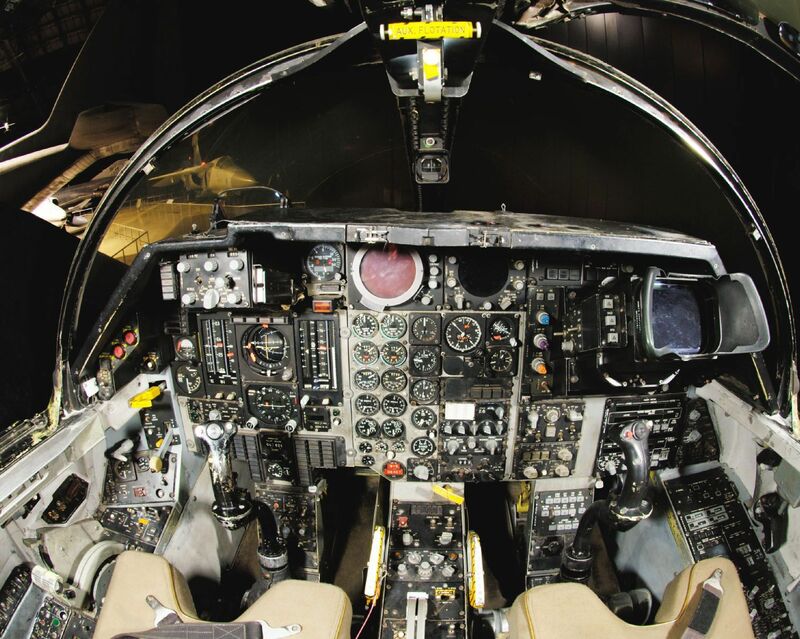 Dave “Bio” Baranek does an excellent job providing a behind the scenes peek into the real Topgun experience. 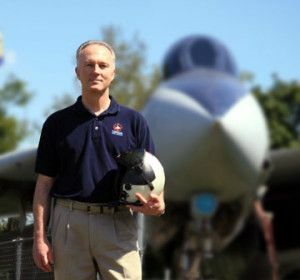 While providing an overview of his days as a Grumman F-14 Tomcat Radar Intercept Officer (RIO), Bio highlights his initial training in the Topgun program, and then onto his role as an official Topgun instructor. 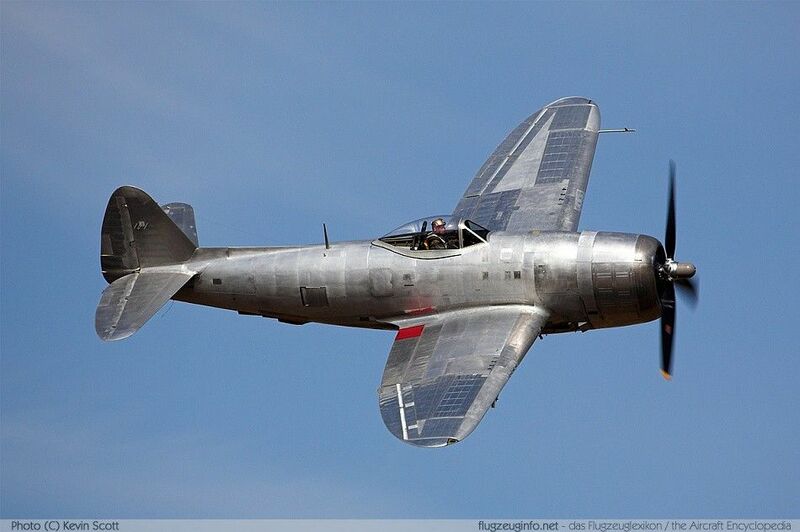 The story starts with Bio’s becoming a brand new Naval Flight Officer ensign fresh out of flight training, and a quick squadron tour and two deployments. 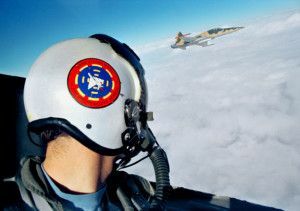 Bio suddenly finds himself shipped back state side so that he can enter the Topgun program, what many feel is the ultimate opportunity for a Navy Fighter Pilot/RIO. 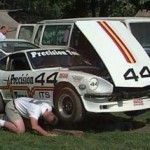 What follows is an excellently told story of the real way that Topgun operated, the personalities of those involved, and the hard work required to succeed. 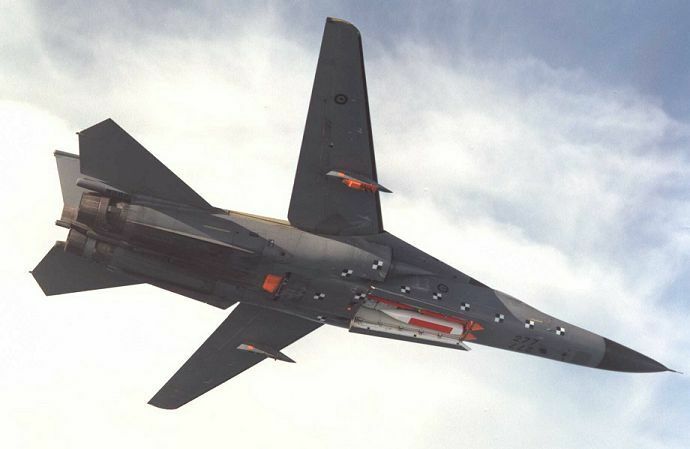 Shortly after graduating Topgun, Bio finds out that he was one those who’s name ended up on the “Wish List”, the list of student who performed so well that they were to be invited back as an instructors. 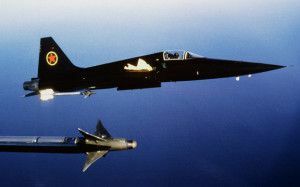 And as an instructor, Bio was fortunate to be at Topgun while the filming of Top Gun with Tom Cruise was also occurring. Bio provides great insight into all that went into making the movie from their perspective. 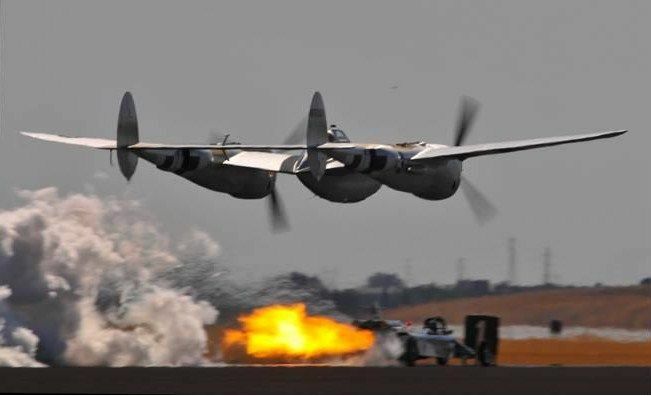 The impressive work that the Navy and Paramount did in filming the breath-taking scenes in the movie is described in detail. 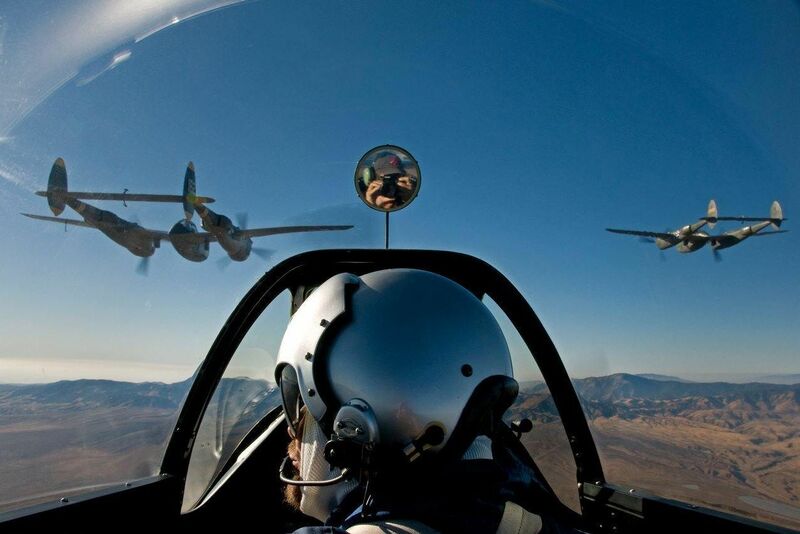 And the author also shares a number of personal stories that provide an entertaining view into what it must have been like to live the Top Gun experience while also trying to share it with the rest of the work. If you click the link above, you can buy the book at Amazon, the perfect gift for a friend, family, or just for yourself! 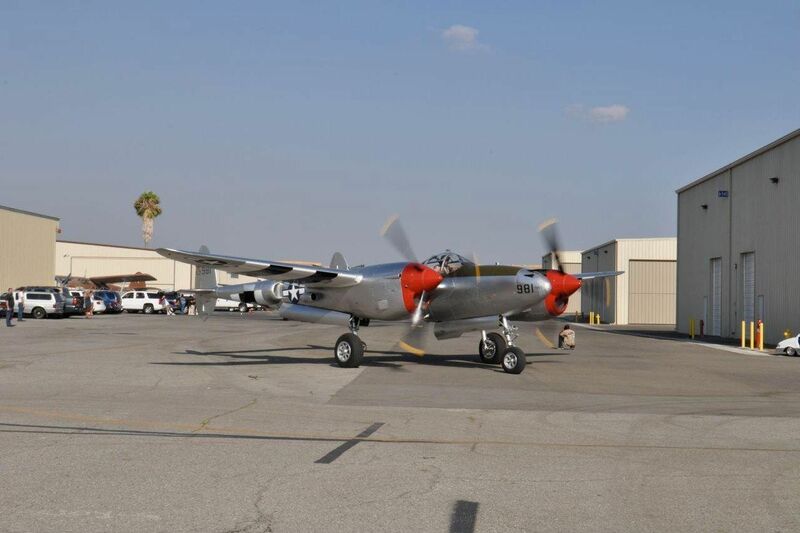 Last week 5 of the 7 still flying P-38s flew from Chino to the Sacramento Capital airshow at Mather for the weekend show. 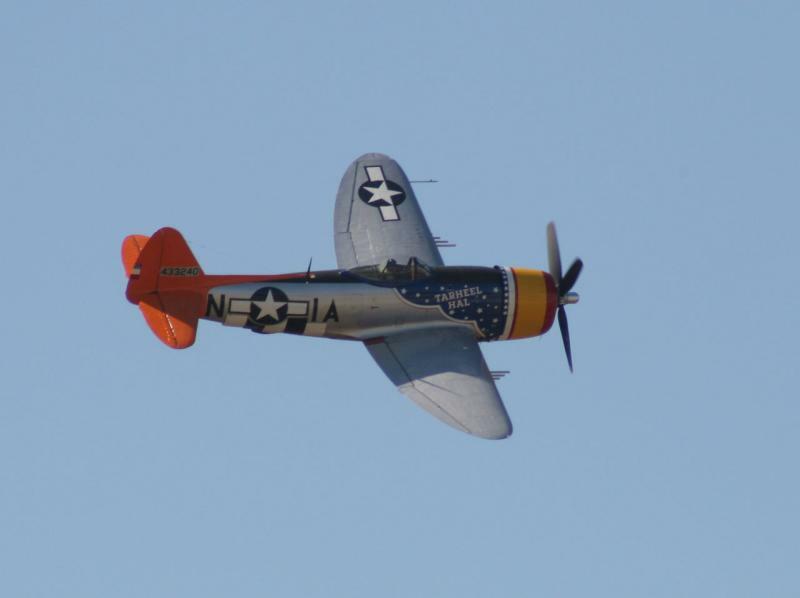 John Maloney flew chase in a P-51! The fighters joined up over Lake Mathews for a photo shoot and then climbed up and headed north to Mather. 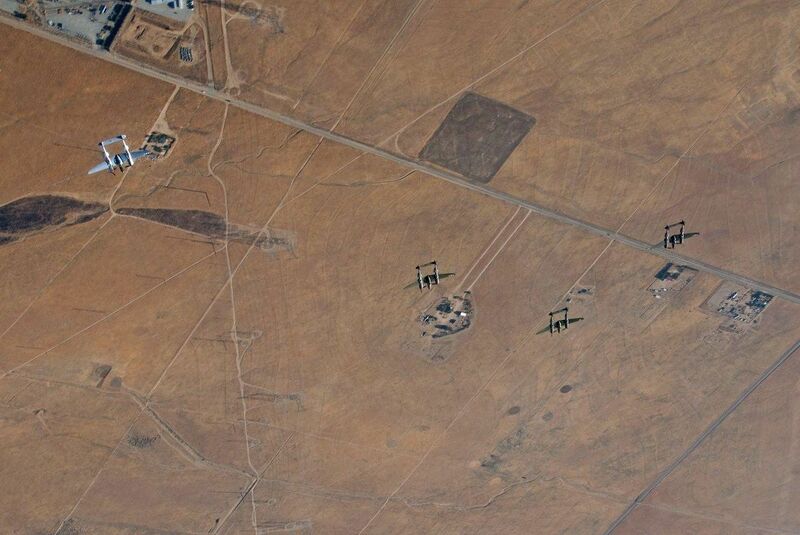 Along the way Hinton decided they would buzz Shafter where his son was preparing “Stega” for the Reno Races. 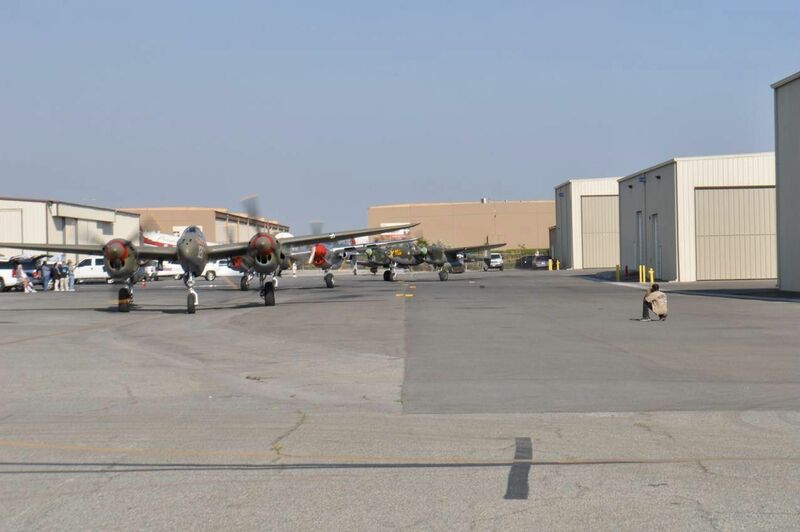 The WWII fighters went screaming by the hangar all in a row at about 300 MPH! 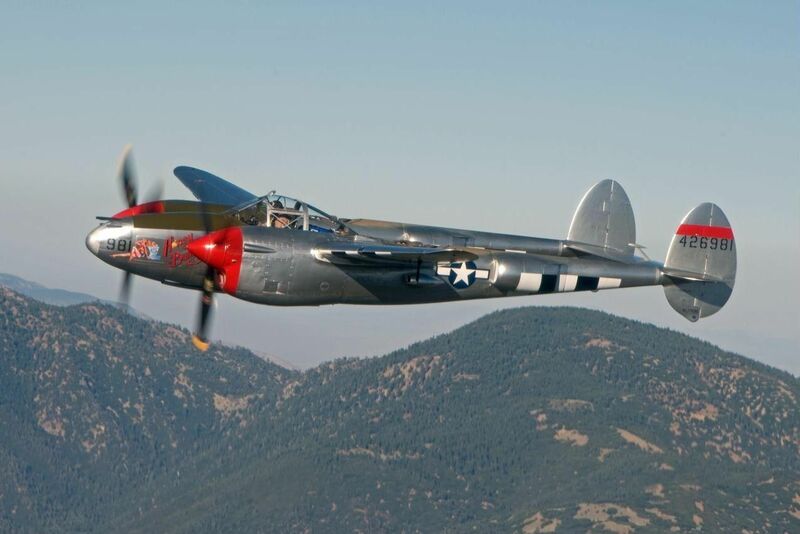 The Air Museums P-38 23 Skidoo cracked a head so they followed her to descent at FAT and then pressed on. 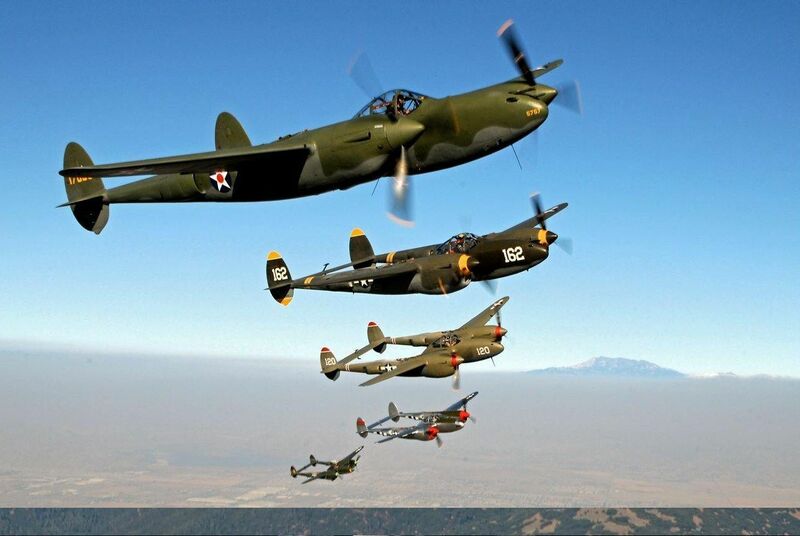 At one point in the flight Maloney came from behind in the Mustang and dove down the right of the formation and pulled up into a giant exaggerated barrel roll around the rather loose goose formation so the camera man could snap a photo thru the canopy of the Mustang as he was inverted over the P-38 flight. Sounds like fun! 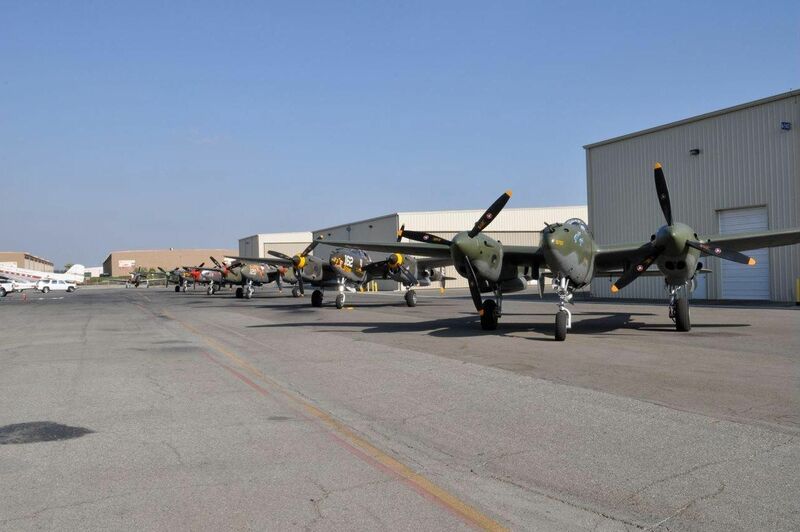 Other P-38’s that made it to Mather included Ruff Stuff, Thoughts of Midnight, and Tangerine.